There was a time when tattoos were a feature only of members of informal non-conformist social groups and subcultures and were also used by musicians and crime elements. 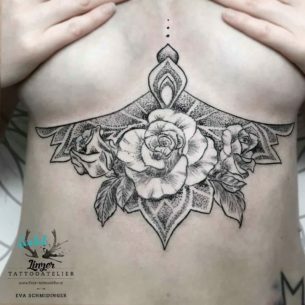 The situation nowadays shows that things changed and under breast tattoo are made for common women of different ages willing to decorate themselves but at the same time leave the drawing hidden. 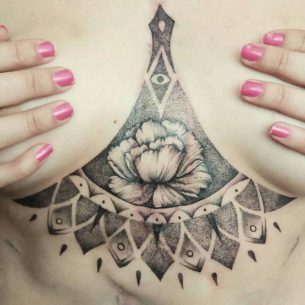 Some of them make such tattoos in order to cover up scars after surgeries and areas with ugly skin pigmentation problems. Usually, the ornament is picked according to the character and temper of a woman. 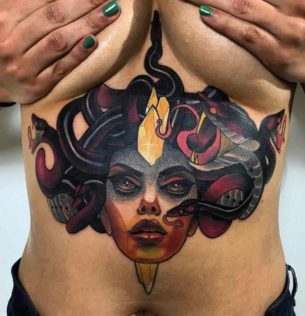 In a case, if the owner of the body drawing does not want to give her tattoo any deep meaning, it is better to choose Celtic, Slavonic, gothic, Egypt or other topical designs performed in color. Sometimes the tattoo design looks as a simple lettering or text. 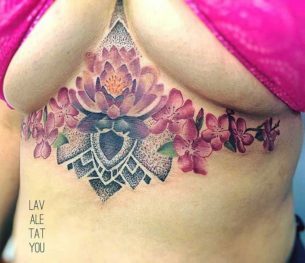 However, it is necessary to think well while picking them, as the lettering tattoo under breast will stay forever and it should be relevant to the life attitude in any age. Different catchphrases and proverbs are popular as lettering tattoo ideas or some famous quotations taken from movies and literature. The language of the text can by any, for example, the most used ones are Latin, French, English, Chinese hieroglyphs. 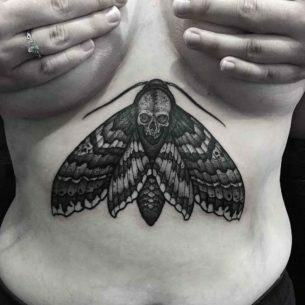 So, keep in mind, that it is necessary to check the translation of these phrases, talk to linguists or better to ask native speakers not to be embarrassed by your tattoo in future. As a piece of a good advice: it is better not to pick some rude phrases with curse words. It looks very interesting and unique if the biomechanical style is chosen. These are 3D tattoos of mechanisms or robotic parts like parts of metal, pistons, cogwheels, wires, bolts mixed with muscles and organs, veins under the skin ripped off. They are usually performed realistically and sometimes it is even too much so the whole body drawing look disgusting. Why do Women Make Them? For example, Rihanna has a lot of drawings on her body and there is an image of an Ancient Egyptian Goddes under breast tattoo which looks amazing among them. 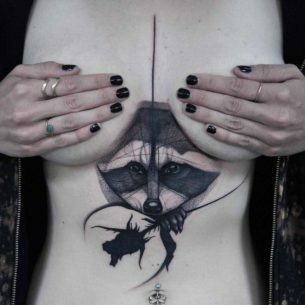 In conclusion, this could be a hard torture to make an under breast tattoo for some women. 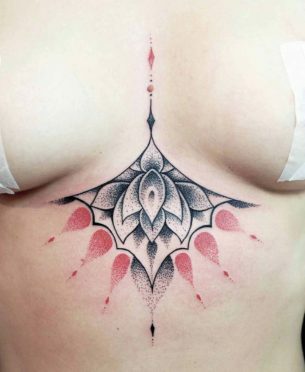 However, it depends on a person and the tattoo artist working on the tattoo. 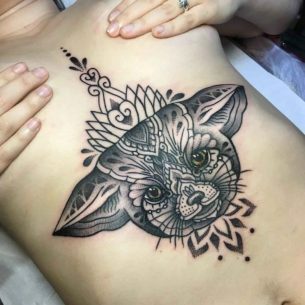 And of course, you should discuss this decision with your other half, as good high-quality tattoos cost a lot and take a lot of time.